When the little lady suddenly started suffering from regular outbreaks of eczema on her arms and legs a few months ago it was heartbreaking. There is nothing worse than seeing your little one suffer from a skin condition and feeling like there is nothing you can do to help soothe the pain or stop them getting it in the first place. It’s really easy to think that once they are past that newborn phase that their skin is less sensitive, but there really is nothing more delicate than children’s skin whatever their age. So we couldn’t have discovered Child’s Farm at a better time. With their range of fresh and fruity smelling natural bath and body products made especially for children with sensitive skin and eczema prone skin, they’ve been the perfect antidote for our little ones skin. Now we don’t use anything else, and since our little man came along they’ve introduced a baby range which is perfect for his delicate newborn skin. We love them so much than we’ve become Child’s Farm ambassadors! 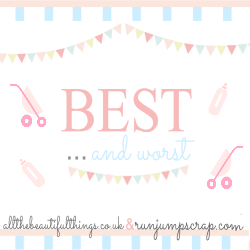 They are hands down our favourite brand for children’s and baby’s bath and body products, and these are some of our favourites that we would love to recommend you give a whirl! This is literally the best detangling spray I have ever used on the little lady’s hair. She has a most unruly barnet made up of a combination of curls, waves and straight bits which has a tendency to get a little (understatement) knotty and needs a fair bit of detangling spray to wrestle it into something half presentable at the best of times. We’ve tried at least four different children’s detangling sprays in the past and none of them have actually worked the magic that Child’s Farm detangling spray does. Not only does it smell amazing (think citrus fruits), but it has the best spray pump I’ve ever tried on any product and after using it brushes actually glide through her hair. I love this product and for anyone that has little ones who need detangling spray, you need to try this. The Child’s Farm shampoo was the second ever Child’s Farm product we bought (the first was the bubble bath) and fell quickly in love with. Its fresh strawberry and mint scent captivated us, but it was its no sting formulation that wowed us. With a toddler that hates washing her hair, the no sting shampoo was a bath time game changer for us. Of course the product itself is amazing too, it lathers a treat and detangles well making it an all round winner in our house. When it comes to newborns I am very reluctant about putting products on their skin. I know that their skin is so, so delicate and has a whole transition and adjustment that it needs to go through in the early weeks and months. So it’s really important to us that we use as natural products as we can, and only if and when we really need to. For example after baths, or in weather that is particularly stressful for their skin, like the warm weather we have had this summer. When I heard that Child’s Farm had developed a baby range I knew it would be perfect for us and this is one of my favourite products from the range. A baby oil which you can spray into your hands and rub onto your little ones skin. Its nice and light and has a lovely natural coconut scent which smells absolutely amazing. It adds just the right amount of moisture to his skin and is perfect for everyday use, although we only use it after baths at the moment as this feels about right for him and his skin. But of all the Child’s Farm baby range, this is my favourite and I just love using this product on my little guy. If there’s one thing you try from their baby range it should be this. For the first few weeks after our little guy was born we didn’t put anything in his bath other than water, just as we did when the little lady was a newborn. But one of the joys of having two little ones is being able to give them baths together. It’s a delight for parents to watch and fun for the children to splash about together. But of course it means you need to be able to use products in the bath which they can both use, which is one of the reasons why I love the Child’s Farm bedtime bath bubbles. Because it is one of those products that they can both us. Not only is it gentle and moisturising enough for both of our children’s skin, but it also has the same lovely tangerine smell as the little lady’s Child’s Farm bubble bath so I feel like I’m getting the best of both worlds. As you can see, we think Child’s Farm are fab and love to introduce friends, family and other bloggers to them at any opportunity so we have one set of the lovely Child’s Farm Baby Essentials Kits shown here to giveaway to one lucky reader. All you need to do to win is enter the Rafflecopter competition below. But if you can’t wait till the end of the competition, we also have an amazing 30% discount code to share with all our readers. Enter code CFAMB315 at the online checkout. Happy shopping! Disclosure; This is a collaborative post as part of our Child’s Farm Brand Ambassador role, however all thoughts and opinions are my own. Next Post Marvellous Mondays Are On! I would love to try the Childs Farm Baby Bedtime Bubbles! Thank you! We love child’s farm too, my son has sensitive skin and a lot of other products irritate it but child’s farm doesn’t! They all smell so good too! I’d like to try Detangling Spray. I would love to try the Childs Farm Baby Bedtime Bubbles – fantastic giveaway! Would love to try the bubble bath first as my little one loves bubbles in the bath. The detangling spray would be great for my niece as her hair has got so long now that it gets really knotty! I would like to try the bath time bubbles. I’d really like to try the baby bubbles, bath time is one of my baby’s favourite times. mainy – myrealfairy.com recently posted…HappyCalc Maths Puzzle Review and Giveaway! I will pick the Chid’s Farm detangling spray has my daughter has so much hair and it will very helpful and exciting to discover a new product. i have never used these but would love to try them all! We’re ambassadors too, and so glad. Childs farm is our favourite and SO soft and gentle on their skin. A great giveaway on such lovely products! The bubble bath looks fab! I’d love to try that! This sounds like a brilliant brand. I love the packaging too – pretty! The detangling spray has really caught my attention as owner of 2 girls with very knotty hair!! 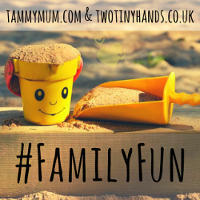 Its the perfect little travel kit for babies, we took ours on holiday and it was fab! I have a new nephew due anytime soon. I’d say the Child’s Farm Baby Oil would be useful. I would like to try Childs Farm Baby Bedtime Bubbles! Well done! Their products look fab. The baby essentials kit would make a great gift for those expecting, a little bit of everything all in one package. Thanks for the discount code- that will be very handy! the bedtime bubble would be great to try. The detangler spray sounds like something we need! I’d like to try the Bedtime Bubble Bath. so far ive only tried the bedtime bubbles, i use it to! I’d love to try the Baby Bedtime Bubbles. We love the mandarin hand wash, the fun characters on the bottle make my son want to wash his hands and the smell is heavenly. The bathtime bubbles look good. I’ve never tried this brand before, but looks good! I’d like to try the conditioner because I find it difficult to find a gentle product that can tame my girls unruly hair. Would like to try the Childs Farm Baby Bedtime Bubbles For my granddaughter. We have used their detangling spray which is very good. I would like to try the Baby bedtime bubbles- for myself! I think the gentle formula and subtle fragrance, would be just the thing for an evening bath. Some adult bath products cause my skin to itch infuriatingly. Not a great help when trying to drift into a deep sleep! I would love to win Childs Farm Baby Bedtime Bubbles! I’d really like to try the baby oil. Childs Farm bubble bath looks lovely 🙂 What could be better than tangerine scented bubbles & Freya loves bubbles! I love the Childs Farm Baby Bedtime Bubbles!